Erin Weaver has given birth to the miracle that she thought may never come. 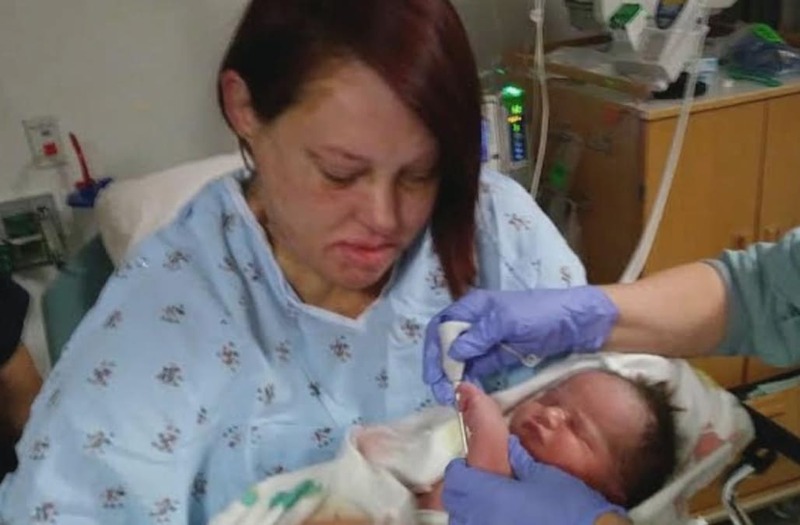 Weaver's daughter, Kealani Marie, was born on April 6 — 13 years after her two children were killed by her estranged boyfriend. "I can't even describe the feeling," Weaver told InsideEdition.com. "I am so grateful and fortunate. It finally happened." Just days before Christmas in 2003, Weaver, who lives Vallejo, Calif., went against her better judgement and agreed to let Mark Fregia, the father of her deceased son, take her and her two children, Daelen, 2 and Devlin, 6, holiday shopping. She said Fregia had been very abusive in the past and was facing a court date for domestic battery, which could send him to jail. After Fregia picked them up, Weaver said she quickly realized something was wrong. "I was always putting in my head that I was doing what was best for my kids," Weaver said. "I thought I was doing the right thing by letting him see them. He started driving the opposite way of where we were supposed to be going and he wasn't saying anything. He drove out of the town where we lived. I was trying to wave down other drivers." Fregia then reportedly asked Devlin to grab the soda bottle from underneath the car seat. The bottle was filled with gasoline fluid that Fregia doused Weaver in and lit her on fire. "I burst into flames," Weaver said. "I grabbed the steering wheel and the car crashed. And then I jumped out and stopped, dropped and rolled." Weaver's children reportedly died of smoke inhalation. She woke up two and a half months later after being in a drug-induced coma with burns on 85 percent of her body and legally blind in one eye. Her family was asking if she remembered what had happened, but she said she could never forget. "I was really lost. I didn't know how to live my life without being a mom. For the first six years I basically just cried every day all day long," Weaver said. Fregia was sentenced to two life terms without the possibility of parole in 2008, but Weaver wasn't sure what the future held for her. She'd dreamed of having a child, but said that if she didn't have one by 40, it wouldn't happen. That all changed last year when she met a man through a neighbor and quickly fell pregnant, just weeks before her 40th birthday. Kealani, which means "heaven's highest point," is less than a week old, but she's already turned her mom's life around. "Everything I have cried and prayed for for 12 years... My prayers were finally answered. I am so lucky to be her mom," Weaver said. Weaver said little Kealani looks just like her older sister, Devlin, who would have been 20 last month. "She is going to know all about her brother and sister. I still always talk about them. So many days I cried over them and now she makes me smile at the end."